BioGPS: A GPS designed to be mounted with the surface reference sensor featuring data integrated into the radiometer data stream. BioHOIST: A portable, battery powered davit mounted hoist designed for handling cables from our radiometers and cables from other oceanographic systems. Uses "pot puller" commercial fishing components with custom power control. 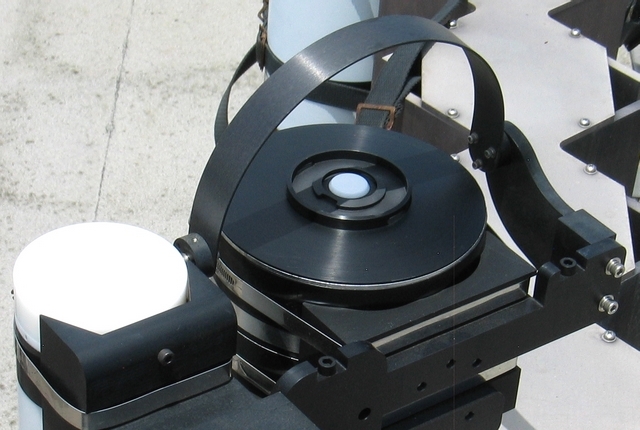 BioMAST: A retractable radiometer mounting mast designed to be mounted on ships. Developed by a NASA researcher. BioSHADE: A shadowband accessory designed for shipboard operation. Packing Cases: A wide selection of reusable packing cases designed to protect the radiometer systems. Field Computers: PCs that we have found rugged enough for field operations. Spare Cables and Connectors: A wide variety are available depending your radiometer system. Lowering Frames to mount instruments that are lowered from a ship.